A press release announcing the exciting appointment of Dianne Lynch as our new Executive Director was distributed via Business Wire. The news was delivered to several publications in order to share our update as well as our mission with a larger audience! We hope to continue to grow our support network and to reach more children and families who will benefit from our program. Popular Back Bay "urban tavern" Post 390 hosted former Navy SEAL Adam La Reau Tuesday night in a fundraiser for his “One Summit” foundation devoted to helping children with cancer build courage and self-confidence. “We take real warriors and align them with little warriors battling cancer,” said La Reau. The program (www.onesummit.org) pairs active and former SEALS with young cancer patients to teach them life skills through indoor rock climbing – an obvious metaphor for their struggles. Former US Navy SEAL Adam LaReau recognized that young cancer patients, like the nation’s most elite warriors, confront challenges that require strength, perseverance and courage. The difference, he realized, was US Navy SEALs have the distinct advantage of the military’s toughest training. Adam, who served as a SEAL for 11 years, became a volunteer in the fight against cancer after his mom died of breast cancer. His volunteer work brought him in contact with young cancer patients, and he decided he wanted to help. Young patients at the Dana-Farber Cancer Institute are offered all kinds of outings meant to boost their morale. And now the elite research hospital is teaming up with military elite — Navy SEALs — to help provide children with motivation to endure their treatments. Adam LaReau has seen courage. The 34-year-old Navy SEAL combat veteran spent 11 years serving his country and has seen courage in the actions of his fellow SEALS and through the children of fallen comrades who must learn to grow up without their fathers. Now living in Boston, LaReau has found a way to channel these two examples of bravery. 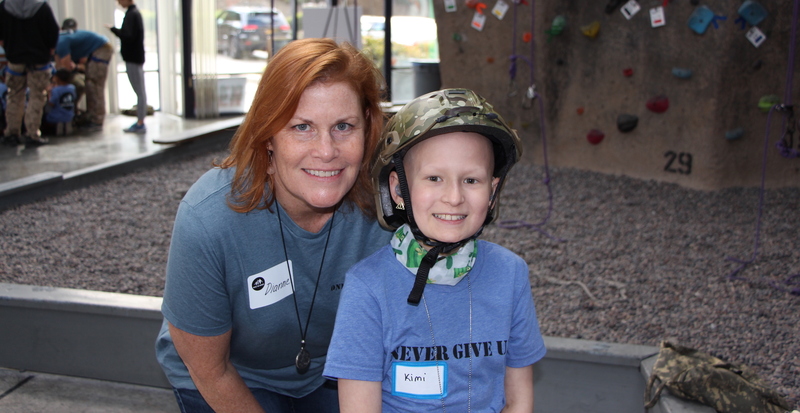 Through a nonprofit program he started called One Summit, he is pairing up SEALS with young cancer patients from Dana-Farber/Boston Children’s Cancer and Blood Disorders Center and other hospitals for a day of indoor rock climbing activities in which confidence and resiliency grow with each step taken up the wall. Picture a United States Navy SEAL. What did you just imagine? You probably imagined someone whom you would really want to have on your side in a fight. Now picture a kid with cancer. Wouldn’t it be great if someone could team that SEAL up with that kid to help her through the fight for her young life? Well, that is exactly what Mid-Career MPA candidate Adam La Reau, a former Navy SEAL himself, is about to do with a group he has founded called One Summit. Adam La Reau, a New Jersey native and former Navy SEAL, is co-founder of O2X, an active lifestyle company focused on providing people an experience to push themselves to their personal limits and achieve their best. The company organizes base-to-peak mountain races that go on and off trail, over natural terrain while preserving the mountain and giving back to local communities. O2X also aims to educate members on the science behind physical training and nutrition, as well as facilitate corporate, athletic and military team development.